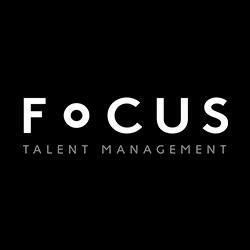 More than just an agency, Focus Talent Management is an exclusive management company representing talent across theatre, film, television and live events. Founded by Lucas Newland, owner of Brent Street, Australia’s leading performing arts centre, and headed up by Natalie Duarte, Focus is uniquely placed to offer continued training, guidance, audition preparation workshops and mentoring exclusively for our talent. With access to some of Australia’s leading performing arts coaches, we ensure our talent is ahead of the pack.